Can you imagine being a 17 year old girl and deciding that dating was “not for you”? 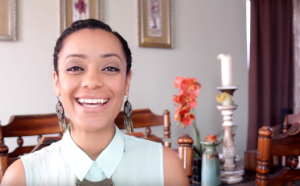 Kytia shares her journey of waiting for the right one while God healed her brokenness. Amen. Victory belongs to Jesus. Testimony Tree is based on a true story of an answered prayer and fulfillment of a vow made to God. Shalif Lule made a vow to God that if he heals his parents then he would create a platform that could uplift people’s faith through sharing of testimonies and the good works of the Lord.